Nepal is known for its many beautiful trekking trails. Here, we are listing some of the best trekking in Nepal and why you would love the adventure. Trekking in Nepal follow the long established trails between villages and ancient trading routes over Himalayan passes. With the highest mountains in world and latitude similar to the state of Florida, Nepal has tremendous variation in climates. The lowland plains are tropical, the midland hills are temperate, and the high mountains have sub-arctic and arctic conditions. For trekkers, the fall and the spring offer the best clarity (mountain views are a big reason why we travel to Nepal) and mild temperatures with the least precipitation. A trekking in Nepal offers so much more than stunning vistas. Step back in time as you leave the bustle of modern life behind you. 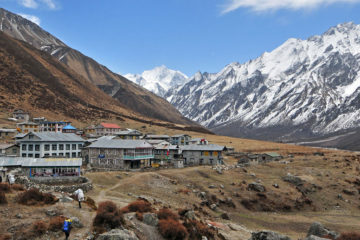 Trek for a day or a month, Nepal offers something for everyone. No need to rough it here! Sleep in a comfortable bed in welcoming lodges. Amazing food, hospitable villagers & breath-taking scenery; trekking in Nepal is an incomparable experience. Nepal has the best mountain walks in the world that would be suitable for any age group or experience. You can explore this country in different styles from joining a fully supported camping trek visiting remote areas such as Kanchenjunga, Manaslu, Dhaulagiri, Makalu and Upper Dolpo to staying in locally owned teahouse lodges of the Everest, Annapurna and Langtang regions. Nepal Tours takes great pride in offering high quality Nepal treks with outstanding service throughout. We work with our clients from the moment they book with us to create the ultimate experience. Treks in Nepal follow the long established trails between villages and ancient trading routes over Himalayan passes. Our treks take you on a unique Himalayan journey. Once visited, you may find that the Himalayas call you back again and again! Trekking in Nepal provides you with amazing experiences and an opportunity to escape from your normal busy life. Our experienced English speaking guides at Nepal Tours really look after you during your Nepal trekking. The trek is supported by a team of porters. All you have to carry is your camera and day pack! We stay at hand picked village lodges offering good food and traditional Himalayan hospitality. Enjoy stunning scenery with a real taste of Nepali culture. Our specialist knowledge is an invaluable asset in planning your trip. Nepal Tours provides scheduled and tailor-made treks catering for your requirements. There is something rather charming about trekking in Nepal during the monsoons. Fall might be the most popular season, and it also gets a lot of footfall, but there are a number of treks that are best trekked particularly during the monsoon season. 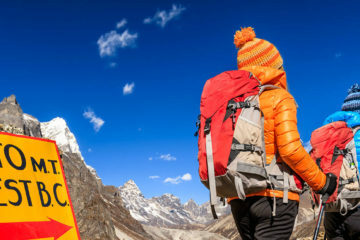 Read on to find out how you can get the most out of your trekking adventures in the country, and discover the best treks in Nepal during the monsoons. The monsoon season lies between mid-June and early September. The average temperature around this time is 71 degrees Fahrenheit (22 degree Celsius), and it keeps going down as you start gaining altitude. The average rainfall is between 135 – 325 mm, with July being the wettest month. Rains usually occur during the evening and night, so you can expect anything between 7 to 11 hours of sunshine, depending on your location. Why Trek During the Monsoon Season? More and more people are opening up to the idea of trekking during the monsoons. The benefits of trekking in monsoons are unsung and the lack of crowds means that you get the place all to yourself! Here are just some of the reasons why you should explore Nepal during the monsoons. Beautiful Sunrises: It usually rains during the night, and by morning the skies start clearing up. The sight of the sun’s rays breaking through those rain-bearing clouds, drenching the rain-soaked mountains with their glittery hues, is one of the most spectacular sights in the world. Have the Mountains All to Yourself: The trails are usually deserted during the monsoon season. If you’re dying for some isolation and wish to have the best of nature all to yourself, a monsoon trek in Nepal is probably the best experience for you. It’ll just be you and the mountains! Lush, Green Beauty: The Nepalese Himalayas are particularly beautiful during the monsoons. Many trails are bursting with lush vegetation, and flowers are blossoming everywhere. The agricultural terraces look stunning throughout this season as well. Reviews: Nepal is one of the world’s premier destinations for first-time and experienced trekkers. Up to the mid 1960s only a few trekkers had generally visited Nepal and back then as part of groups of expedition followers. Many of the big expeditions of the day encouraged trekkers to sign up in an attempt to help balance the funding. Trekking in Nepal today is completely different to that of the 1960s. In all the main trekking areas, the National Parks and Conservation areas lodges have been established where trekkers can find accommodation, food and meet other trekkers and locals along the way. The majority of the trails are well maintained and in many cases are sign-posted.